The Japanese music video of Clean Bandit’s “Solo” from New Album "What Is Love?" This video was filmed in Kyoto and focuses on the dichotomy of trying to breakaway your feelings and moving-on from your past with the inner-turmoil that comes along with it. The music video features a popular local dancer named NANA from the dance unit KiKiRara. NANA portrays the feeling of wanting to breakaway (dressed as a Maiko) as well as the feeling of wanting to hang-on, portrayed as a-lady-in-a -black-costume. 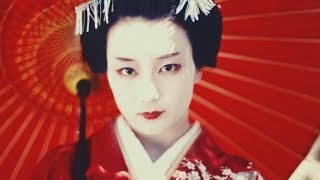 This music video was filmed in Japan’s historical and beautiful tourist sites in Kyoto, Japan. As mentioned in a line of their 2014 hit single Rather Be; “… with every step we take Kyoto to The Bay”, it was important to deliver Clean Bandit’s love for Kyoto. The music video was shot at the Gion District, Yasaka Shrine, and Kyoto Tower as the backdrop. Hokanji Temple which is a 5-story Buddhist pagoda was specially lit for the filming of the night scenes. The filming mainly took place inside Tofuku Temple and Toji Temple. The scene where NANA walks side-by-side as a Maiko/ as a-lady-in-a -black-costume was filmed inside Sanmon Gate. The gate was designed in 1952 and has been selected to be one Japanese National Treasure. The temple is regarded to be one of the oldest, greatest and most gorgeous of all Zen Buddhist Temple in Japan. Album "What Is Love?" is available now! !